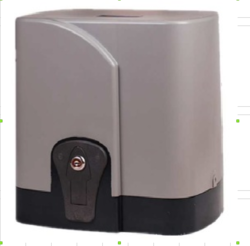 Leading Manufacturer of intensive use gate automation 1006 ac, sliding gate automation, gate automation 1006 ac, 1500 kg suitable for commercial /residential gate automation., main gate and stainless steel gate from Hyderabad. Delivery Time: (2) Delivery: 1 to 2 weeks from the date of receipt of PO/ADVANCE. in operation.auto closing gate delay time adjustable. 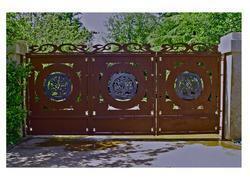 opening of the gates in the event of power failure. 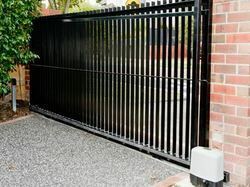 automatic return for resistance during closing gate. 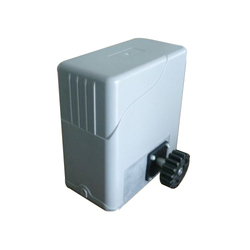 control mode Single button, Output shaft height 58.5mm, Max. 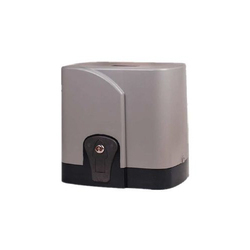 gate only operates with password as set by you• Over-loadand Over-heat protecting function by inbuiltthermal sensor.•Manual opening of the gates in the event of power failure.•Automatically locks the gate and can only be operated byremote and key provided for manual operation. lamp for notification of gate in operation. 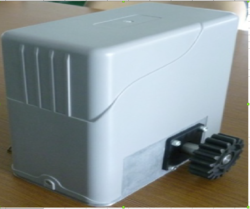 :SD 1030 SUITABLE FOR GATE UPTO 2800 KGS SINGLE PHASE. 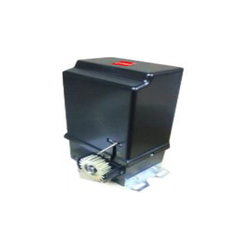 Looking for Sliding Gate Motors ?